This is kind of sad. 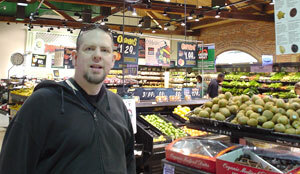 One of the two oldest continuously operating chain supermarkets in my hometown is closing. 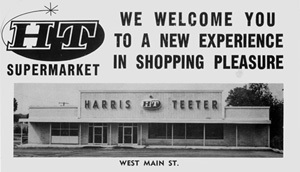 The Harris Teeter location at Golden Gate Shopping Center opened in 1961 as an A&P. 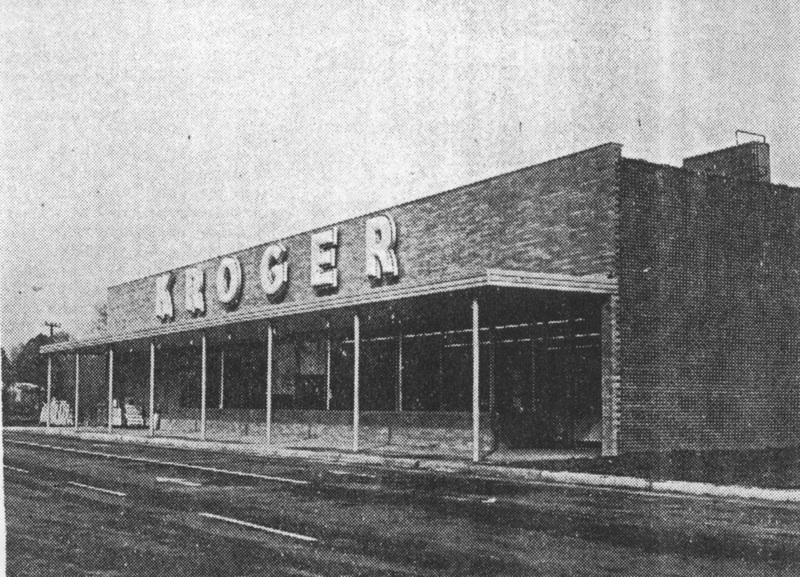 A Kroger opened simultaneously at the other end of the center. The Kroger was replaced about 1975 with one of Greensboro’s first Food Town (now Food Lion) stores. The A&P lasted until the late 1970s and became a Bestway (local chain) and then Harris Teeter in 1988. Centers with two supermarket anchors were common at the time but are rarely seen anymore. Four men sat down at a segregated lunch counter in Greensboro NC and changed history. The event was commemorated today with the opening of the International Civil Rights Center & Museum in the former Woolworth store where the sit-ins began. 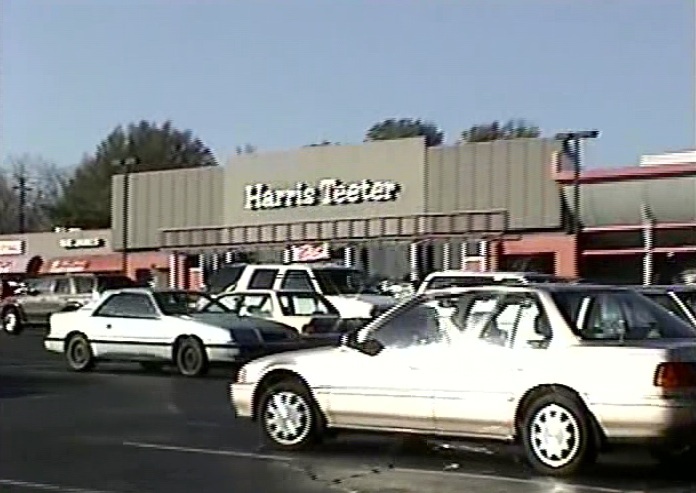 On the same day, eighty miles south in Charlotte, “Harris Super Markets and Teeter’s Food Marts officially merged to form Harris Teeter Super Markets, Inc. 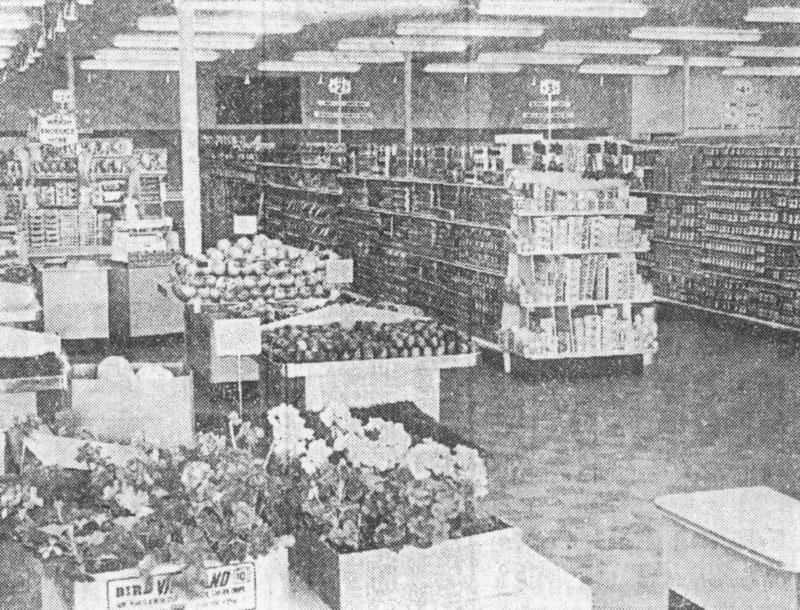 There were already 15 stores in operation. The first ‘Harris Teeter’ store to open under the new banner was in Kannapolis, NC.” (via Harris Teeter website and The Charlotte Observer). So is that vaguely phallic or what? 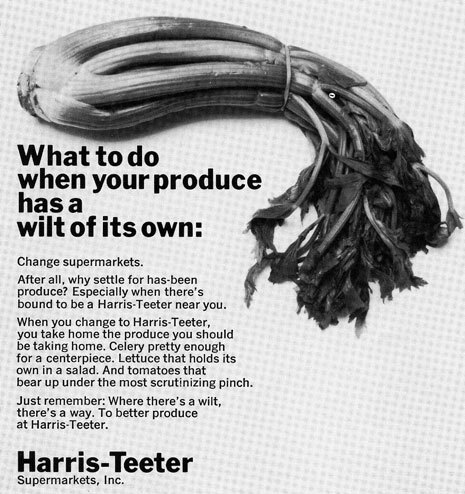 The ad is from 1968, again courtesy Pat Richardson (whose site you really should visit). 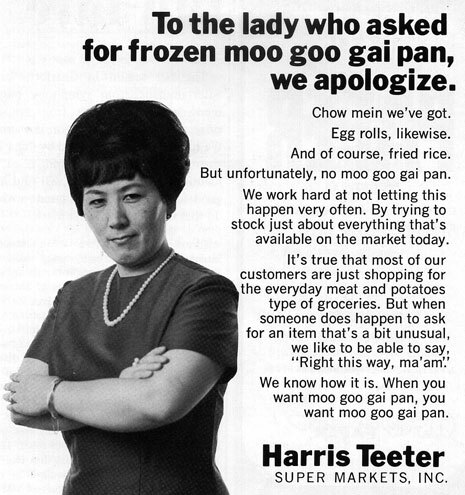 These are actually fairly sophisticated image ads for a smallish regional chain in late 1960s North Carolina, although some might question the “Chinese lady” image of the second ad. I’ve been incredibly busy with school and work the past few weeks, so the updates have been slow. But it seems I won’t be taking any classes this summer, so that should be good news for the site, if not for my anticipated graduation date. Hi all. It’s been a crazy couple of months, and I apologize for the fact that the website suffered as my betrothed and I relocated and bought out first house in Winston-Salem NC recently. 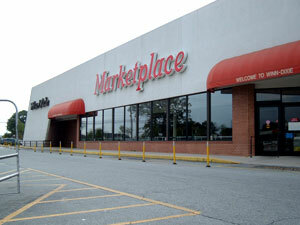 So it’s goodbye Harris-Teeter on Central, hello Harris-Teeter on Cloverdale. Now that I no longer live there, I’m finally posting the final pages of the Charlotte section. Today’s covers the 1980s, and it’s the most interesting and complex one of the bunch, I think. The 1990s and other assorted updates will be coming tonight and in the coming days, I hope. I spent my New Year’s Day in Charleston, South Carolina, and it seemed like a good excuse to put up one of my rare self-portraits. The backdrop is a really cool Harris Teeter store crafted from an old railroad warehouse building in the historic district of Charleston.